Among them are the bills on privatization and visa-free regulations. 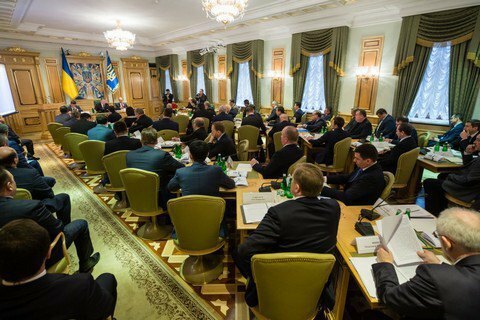 President Petro Poroshenko has said at the meeting of the Council of Regional Development which bills should be adopted as a matter of priority to ensure continued cooperation with the IMF. "I advise the government and parliament to focus on the establishment of efficient corporate administration of the biggest state enterprises of Ukraine, particularly Naftohaz Ukrayiny. In the course of the first plenary week, we should approve the legislation on privatization and the visa-free regime," he said. Poroshenko is hopeful that the government would submit all the draft laws to him by the end of the week and that parliament would consider them as as matter of priority. According to the president, these will be the amendments to the law on the appointment of the anti-corruption prosecutor, the issues of the National Agency for Prevention of Corruption and the issue of special confiscation. He called on MPs to support the European choice of Ukraine not only by words, but also by actions.